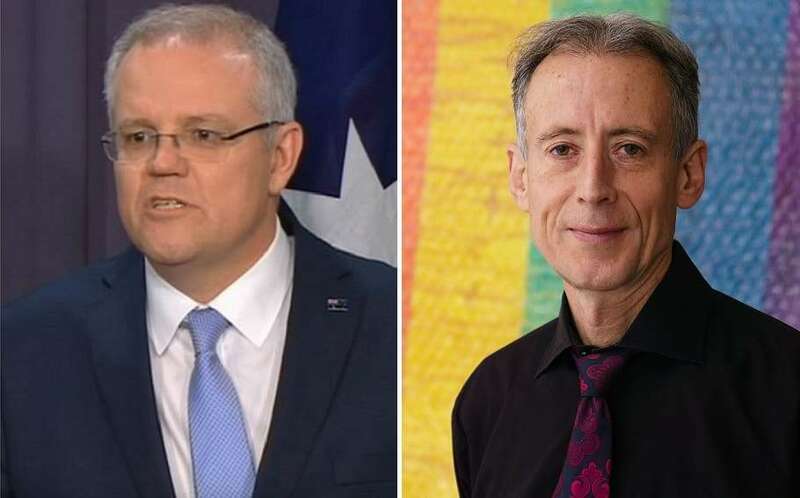 Australian-born, British-based human rights campaigner Peter Tatchell has called on Australian Prime Minister Scott Morrison to condemn Brunei over its introduction of the death penalty for homosexual activity. Influential LGBTIQ activist Tatchell called on Morrison to challenge the Sultan of Brunei Hassanal Bolkiah over the Sharia Penal Code, which comes into effect today. The code, which was first mooted in 2014, incurs the death penalty for homosexual acts, adultery and apostasy (leaving the Muslim faith). Individuals found guilty of the offences are to be publicly stoned. “Scott Morrison’s silence so far is shocking,” Tatchell told QN Magazine ahead of the law’s introduction. Tatchell said Australia should consider sanctions against the South-East Asian nation, a near neighbour to Australia located in the Malay Archipelago. “The Australian government should warn Brunei that it will suspend diplomatic relations and economic ties if this law is implemented,” he said, raising the spectre of an Apartheid-era, South African-style boycott. Australia is no stranger to implementing international sanctions; Australia maintained strict sanctions against South Africa from 1972 to 1994, as part of international pressure to end that country’s former Apartheid policy. Currently, Australia maintains various sanctions against Iran, Myanmar, North Korea, Syria and Zimbabwe, among other nations. While Prime Minister Morrison has yet to weigh in on the matter, Australian Foreign Minister Marise Payne has said the government has raised concerns about the laws with Brunei’s foreign minister Dato Erywan. “We are absolute opponents of the death penalty in all circumstances, so any suggestion that laws would facilitate the application of the death penalty is a matter of concern to Australia,” she said. Federal Opposition Leader Bill Shorten issued a joint statement with Shadow Minister for Foreign Affairs Penny Wong calling on the Brunei government to abandon the law. “Labor is deeply concerned by the Brunei government’s plans to implement new laws that would see adultery and homosexual acts between consenting adults punishable by death,” they said. “We note the new penal code would be in breach of the UN Declaration of Human Rights. Australia has always stood strongly for the protection and promotion of human rights. Across the Tasman, Acting New Zealand Prime Minister Winston Peters rebuked the Bruneian government in a statement this week. “It is seriously regrettable that Brunei’s decision contravenes a number of international norms on human rights,” said Mr Peters, who is Acting Prime Minister while Jacinda Ardern is in China. Speaking from China, Ardern said Brunei’s decision challenged two specific principles New Zealand holds dear. “New Zealand has always stood against the death penalty, in all its forms, for any reason,” she said. Her comments come as a groundswell for a Brunei boycott builds, with celebrities including George Clooney, Elton John and Ellen DeGeneres urging travellers to shun the Sultan of Brunei’s global hotel portfolio, which includes property in Queensland. A petition on the online petition platform Megaphone to ban Royal Brunei Airlines from Australian airspace has also attracted over 11,000 signatures. Tatchell predicted Brunei’s new penal code would continue to generate negative consequences for the sultanate. “Brunei’s planned introduction of the death penalty by stoning for homosexuality is an outrageous backward step that will damage the country’s international reputation and menace the lives of LGBT people,” he said. The High Commission of Brunei Darussalam in Canberra declined to speak with QN Magazine. The office of Prime Minister Scott Morrison has been contacted for comment.